Many of you know i love reusables when it comes to makeup removal/ skin care so i was stoked to receive these Face Halos in my PO box and give them a try. 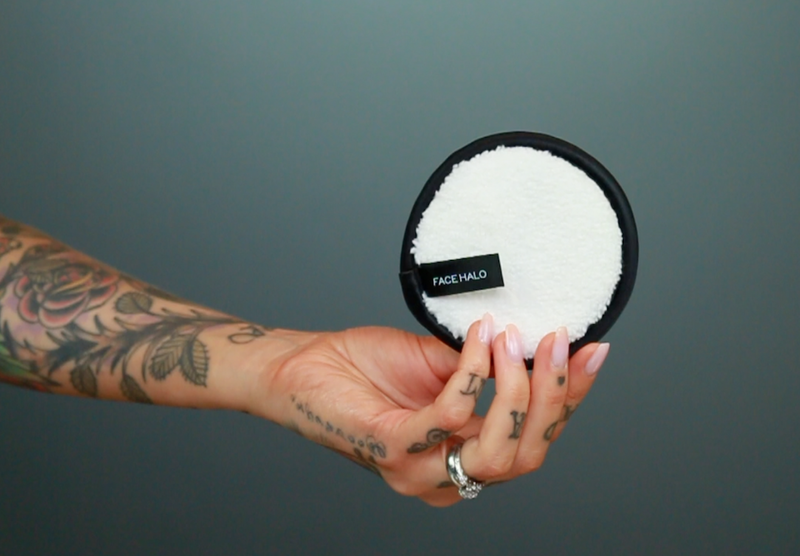 Face Halos come in a pack of three for $22, they're washable, reusable makeup removing pads that work just by getting them wet. They have a firm padding through the middle and seem very well made to endure the 200 washes they boast withstanding. I've used and washed mine now and really love how easily they remove makeup. I found one to be sufficient to remove a full face of makeup including eye makeup with minimal effort or pressure needed. They're also flexible so i fold them in half and use the flat edge to get in the lash line. Thats it! Super easy and a great way to cut down on waste. I'd really recommend these for anyone wanting to embrace some reusable options in their home! Face Halo kindly gave me a code to pass on to you guys (not affiliate), too- "Rhian10". Darn... i bought them the first day you showed them w/o the discount! Can't wait for them!